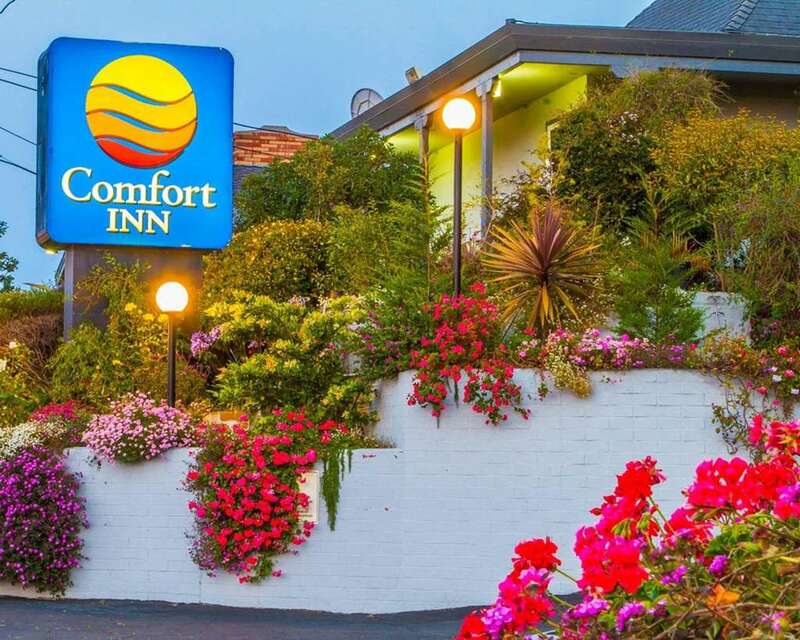 Behind every great day is a great night at the Comfort Inn Monterey Bay hotel. We are conveniently located right near activities and sites like Old Fishermans Wharf, Carmel, MCSUMB-California State University, Monterey Bay. In 2019, Monterey is home to the US Open Championship at Pebble Beach June 10-16th.Take advantage of our free hot breakfast, free WiFi, free parking, and free coffee. Guest rooms feature refrigerators, microwaves, coffee makers, TVs, hair dryers, USB charging ports, irons and ironing boards. We also offer membership to the Choice Privileges Program, which gives members the opportunity to earn valuable rewards points toward airline miles and free hotel room nights.